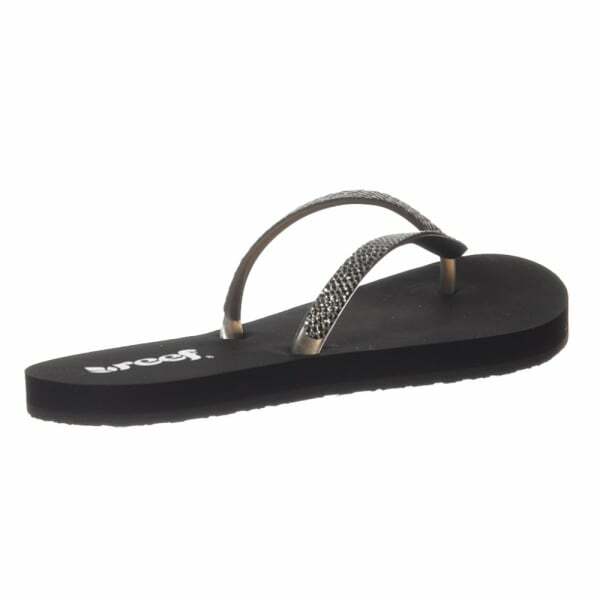 Reef Stargazer Sassy is a Stunning Flat Flip Flop Which Can be Worn at the Beach or the Bar! 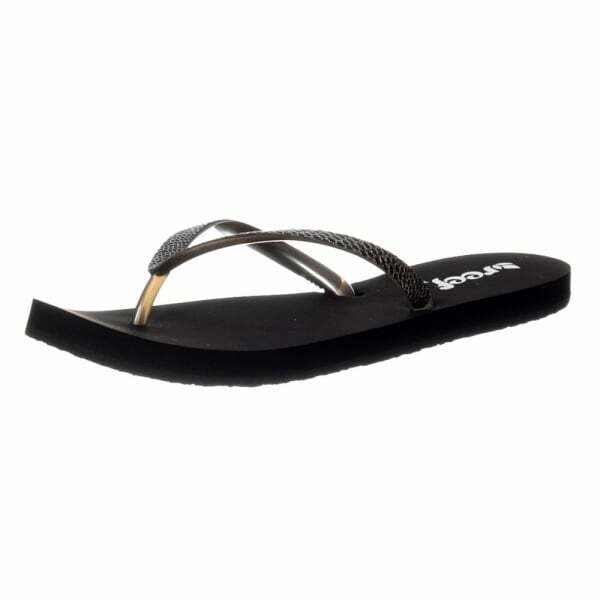 A Stylish Reptile Emboss Faux Leather Strap With Dusted Glitter and Soft Satin Lining. 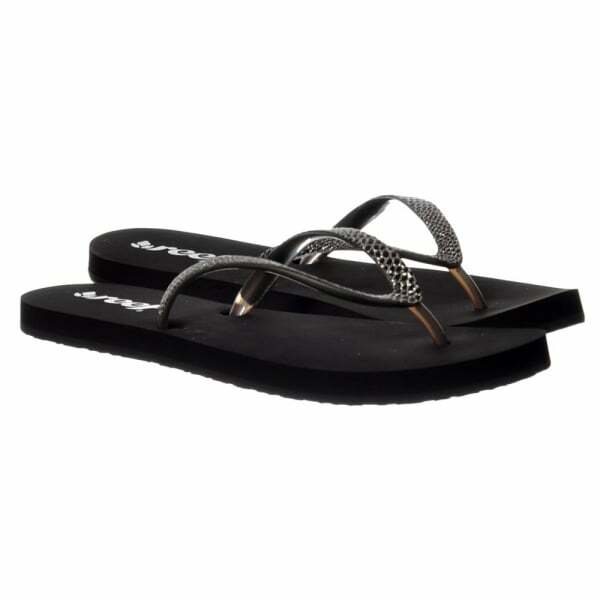 The Comfortable Durable Rubber Outsole and Soft EVA Footbed Completes The Look.